While USD is being supported due to the Yellen’s speech, despite the positive reports in the UK, GBP is losing power. 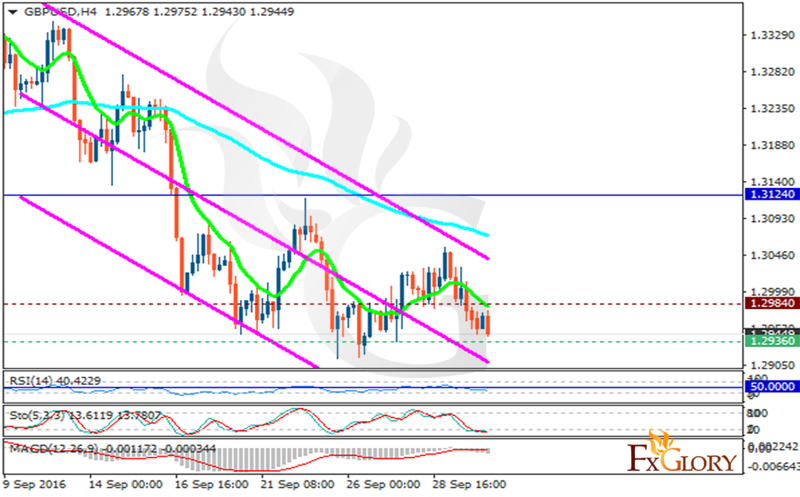 The support rests at 1.29360 with resistance at 1.29840 which both lines are below the monthly pivot point at 1.31240. The EMA of 10 is moving with bearish bias along the descendant channel and it is located below the EMA of 100. The RSI is moving below the 50 level, the Stochastic is showing downward momentum and is moving in its minimum rates and the MACD indicator is in negative territory. The pair will start its growth soon targeting 1.3060.